2nd event: 18:00pm, Play for Cuba musical instruments send-off photo call, Piazza, outside ACC entrance. Come along and help us send off the container filled with musical instruments to send to Cuba. 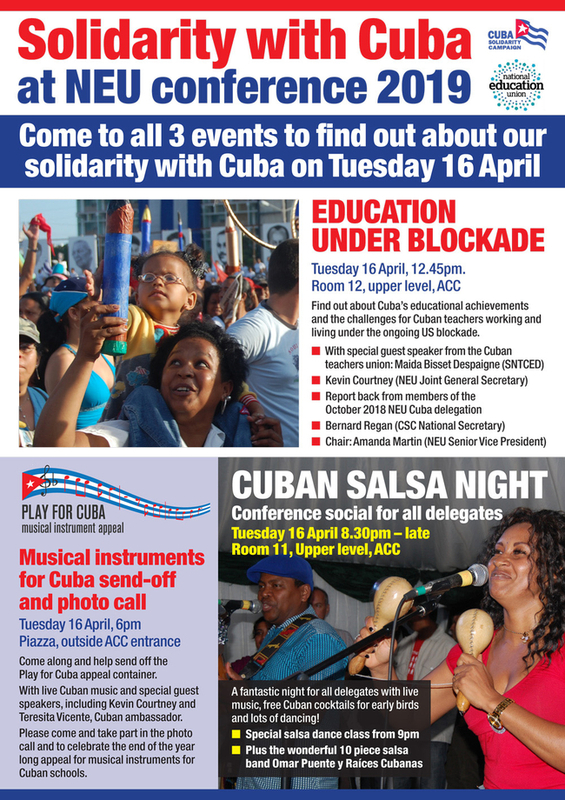 With live music, short speeches from Teresita Vicente, the Cuban Ambassador and Kevin Courtney, NEU Joint General Secretary. Please come along and take part in the special photo call. A fantastic night be wih live music, free Cuban cocktails for early birds plus lots of dancing!